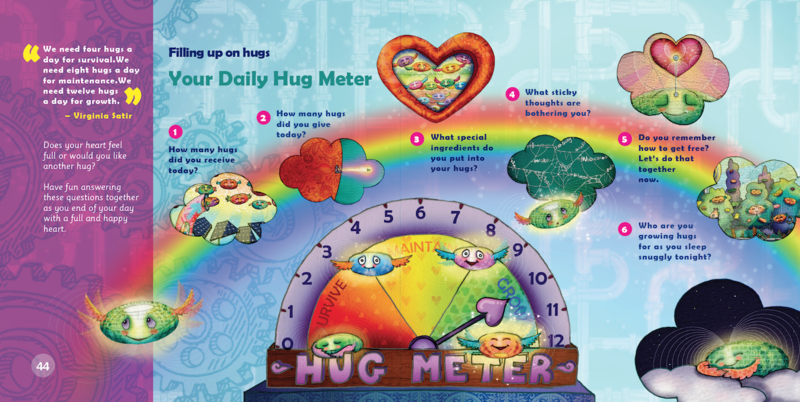 Products / THE HUG WHO GOT STUCK, Teaching children to access their heart and get free from sticky thoughts. 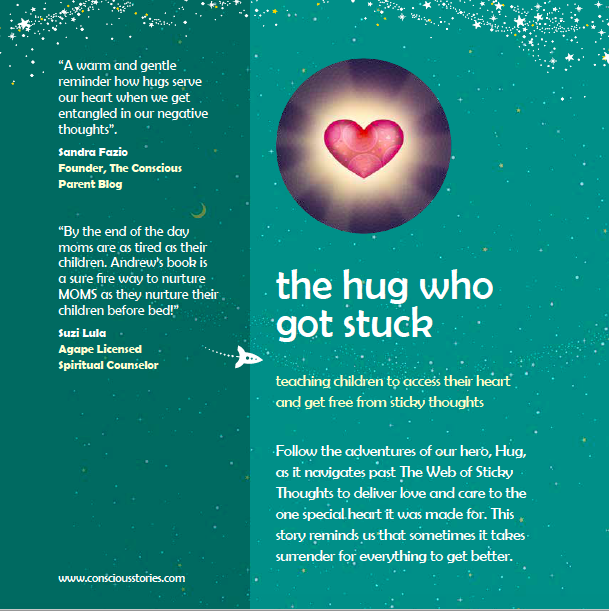 THE HUG WHO GOT STUCK, Teaching children to access their heart and get free from sticky thoughts. 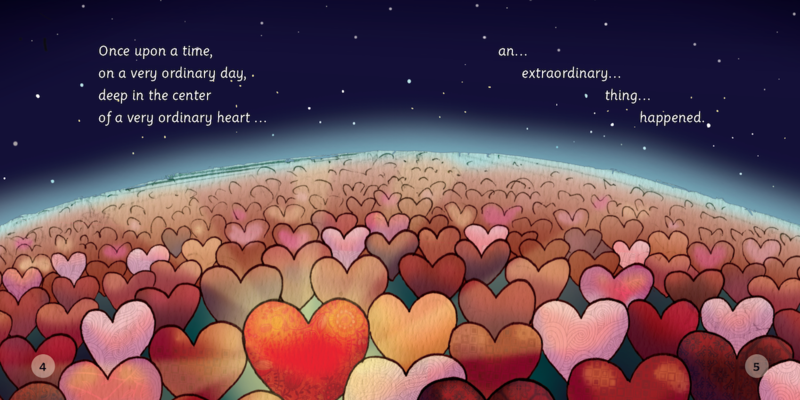 This exceptional bedtime story for ages 4 to 8 follows the adventures of Hug, a hero who got stuck as he was headed for the heart for which it was made. 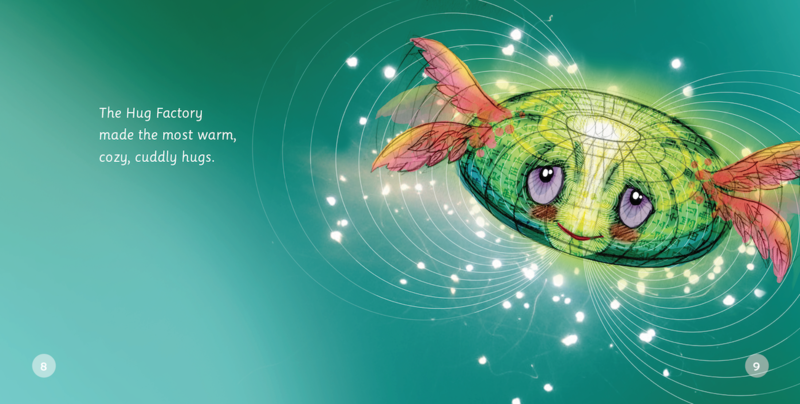 Will Hug navigate past The Web of Sticky Thoughts to deliver love and care to the one special heart for which it was intended? 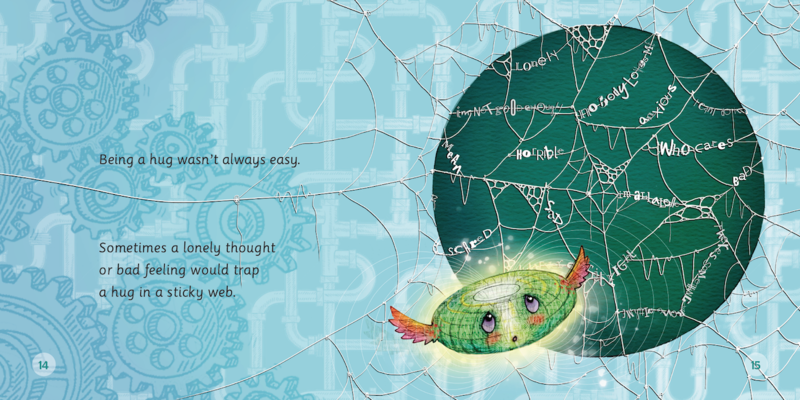 The illustrations in this book are truly magical. 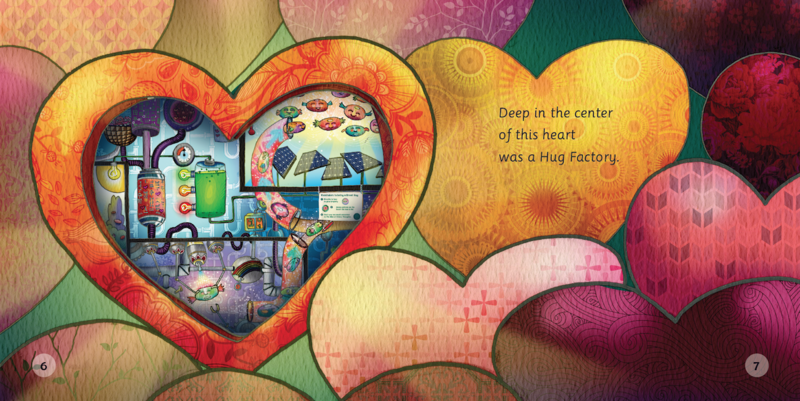 You can explore the Hug Factory in the center of the heart, finding something new each time your read. It helps kids to learn that sometimes it takes surrender for everything to get better. 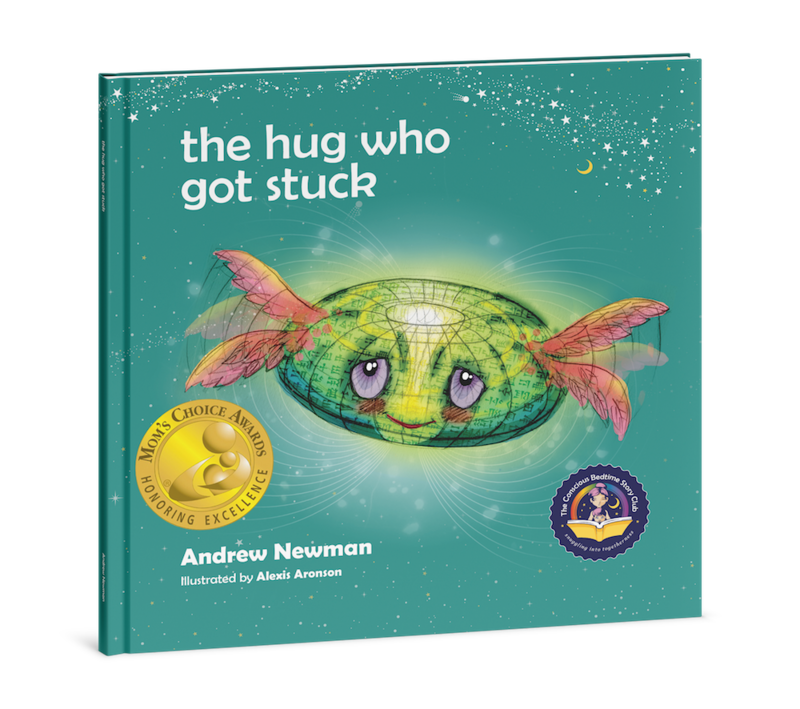 The book ends with Your Daily Hug Meter, a short set of questions to help children open to giving and receiving love, and the value of surrender as an antidote to Sticky Thoughts. "A gentle reminder how our negative thoughts block the flow to our heart, and how hugs help free us." A gentle reminder how our negative thoughts block the flow to our heart, and how hugs help free us. Sandra Fazio Founder, The Conscious Parent Blog A gentle reminder how our negative thoughts block the flow to our heart, and how hugs help free us. "Bedtime is such a struggle for most moms I work with. By the end of the day moms are are tired as their children. Andrew’s book is a sure fire way to nurture MOMS as they nurture their children before bed!"